If done well, a book launch can create urgency, excitement, and unstoppable momentum for your book. It can also help you establish your brand, your message, and presence on the web. A launch will build your author business by increasing your email subscribers and social media followers. 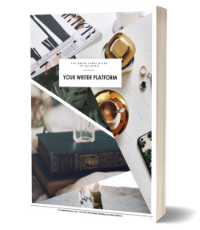 It will also expand your reach, your network, and may even present possible partnership opportunities with other authors, groups, and organizations. Many authors struggle to find ways to promote and market their work, but your book itself is your marketing tool. You can use it to leverage multiple opportunities—like podcast and media interviews for example—especially during your launch. And without question, a book launch is a celebration! You deserve to highlight this amazing achievement. If you fail to reward yourself or acknowledge this significant milestone in your career as a writer it can be very disheartening. And remember, your enthusiasm for your new book is contagious—so it’s important to spread it around! But here’s the thing, carefully preparing, timing, and executing just the right mix of launch activities to propel your new book out into the world is no simple task. And although it may be difficult to nail down the exact return on investment you can expect to receive from your book launch, the real value is the attention you generate and the subsequent platform you build from your launch success. It’s impossible to define success without first defining what you want to achieve. gain authority and increase your influence? Try and take a step back, and get a bird’s eye view of this book launch, and its relation to your overall career path. For example, although many authors may say their goal for their book launch is to “sell lots of books”, this isn’t very useful because it’s not measurable – how do you determine “lots”? Is it a hundred books sold? A thousand? Ten thousand? And what is your real objective in selling lots of books? A liveable income so you can quit your day job? To spread an idea? To help or entertain as many people as possible? Each objective or goal will require a different launch strategy. If you’re hoping to share a message far and wide, you’re launch strategy might include giving your book away for free. But if you’re hoping to make a consistent and liveable income from your book, you’ll need to carefully consider a price point for your book and a launch strategy that maximizes revenue rather than downloads. And hopefully, this won’t be the only launch in your writing career, so consider each launch as a small piece in a bigger picture. Are your goals for this book launch in line with the goals you have for your overall writing career? Where do you see your writing career 2, 5 or 10 years from now? Work backwards from that point and loosely plan out a path to get there. One launch probably won’t get you there, so leverage THIS – and every launch – to put you in a better position to reach your ultimate objective. The basis of this is: what you want to say, who you want to say it to, and why they should care. When you connect to your purpose and can articulate clearly and succinctly what you have to offer, your ideal audience will respond. So focus on your strengths, passions, and goals. Discover who you are and what you want to do, outline your unique areas of advantage or value, and clarify what makes you and your work different. Any successful book launch needs to have a clear message that is consistently articulated and your “story” is what people will connect with on an emotional level. One of the best strategies to quickly establish credibility, get known, and differentiate yourself, is to share your “why”, so attach your launch to a bigger story and give people a reason to care. Writers often balk at the idea of “branding” themselves or their work. It just feels so… corporate. But if done right, your author brand should extend naturally and organically from your message and your “why”. It’s how people will identify and relate to you, and it lets them know what they can expect from you and your work. Your brand stems from who you are, how you want to be known, and who people perceive you to be. What’s your brand story? How do you want people to feel? What experience do you want to create for them? How do you want to be known? What words, ideas, concepts, and feelings do you want people to associate with you? What mood or immediate impression do you want to evoke? Now use what you’ve discovered about yourself to create an authentic brand personality. Now that you’ve identified and can express your “special sauce” and the why behind your work, it’s much, much easier to identify the group of people who will be most receptive to your message. Who are you writing for? The deeper your understanding of your readers’ fears, needs and desires, the better so take the time to learn where they are, what they need, and what they are searching for. and any other information that is relevant. Aside from taking the time to really get to know your readers, sometimes the best way to take your launch planning to the next level is by gaining a deep understanding of what other writers are doing well, what opportunities are being missed, and what your readers really crave. Much of what you need to know about your readers, the market, what works, and what doesn’t is already out there. You just need to know where to look. Eliminate the noise and focus on those elements that can give you an edge—in most cases, other authors in your genre or niche won’t take the time to do this. After you are clear on what you want to accomplish in your book launch, it is time to take inventory of your launch assets. and any other assets you have at your disposal for your launch. And as I noted earlier, don’t undervalue your assets. Even a small email list of 20 to 50 interested readers, can yield big results when it comes to helping you get the word out about your book. Often these “early adopters” turn out to be your biggest supporters. Also take into consideration things like your budget, your talents and skills, and how much time you have to dedicate to your launch. What can help you reach your launch goals? Make a note of any gaps that need to be filled. Will you need to take a course, purchase a new software, or pay a cover designer, for example? To move forward, it helps to know where you stand right now in terms of results, assets and resources. Then focus only on those things that impact what you’re aiming to achieve. Love it or hate it, technology has levelled the playing field. And authors are becoming more and more adept at using technology and “tools” to carry out the career authors to-do list. But a critical factor that is often missed when striving to “check all the boxes” is this: It’s not the tools, but the implementation that matters. You can have everything in place to launch your book, but still fail miserably. Because a powerful launch is more than just the sum of its parts. If done right, there is a synergy between the tools you choose to use, how you implement them, and the intention behind it all. To create stellar content that people will actually care about, you need to have a clear vision for why you are developing the content in the first place, and an in-depth understanding of the people you wish to consume it. And here’s a hard truth: people don’t care about your book – they care about what your book will do for them. So focus on creating launch content that is meaningful and adds value to your readers, not repeatedly pushes your book. Hobnobbing and elbow rubbing are not the sort of activities that solitary creatives typically engage in willingly. But like it or not, you must start building your network and influencer list. Avoiding networking will not lessen its importance to your career. Gone are the days of the lonely, introverted writer. Connections are critical, and incorporating networking into your launch planning is a must. To survive, writers need to have a shift in mindset. The goal of networking is not to pitch an agent, hawk your book, or have someone you hardly know do you a favour. It’s simply to have a conversation. Go into it with a “What can I do for them?” approach, rather than “What can they do for me?” Networking feels icky and uncomfortable when you have a hidden agenda, or you’re not being authentic. So start building relationships now that will earn you goodwill before your launch date. Find your evangelists and give them extra-special attention and care. Help them tell your story. Create resources, pre-written blog posts, images, videos, quotes, data – whatever you can to get your team excited. Create an insiders list and give them advanced review copies of your book, get feedback on content and encourage them to get invested in your project. Build loyalty, trust, and a connection with your newly forming community and in all your interactions with them. Focus on creating a kinship of connected, interested, and highly engaged admirers. Then, when it comes time to promote your new book, you’ll have both devoted customers and an eager promotional team ready to spread the word. Your launch plan is your blueprint to your entire book launch. It combines the tasks involved and, more importantly, the sequence of events in your launch. and day-by-day plans for the release of content during your launch. There are so many details in a good book launch that you need a script to follow. The secret to pulling off a successful launch is to clarify what you need to do (based on your launch objectives), when you need to do it, and the resources, people and tools you’ll leverage to get it all done. None of us have time to waste on things that don’t generate results. 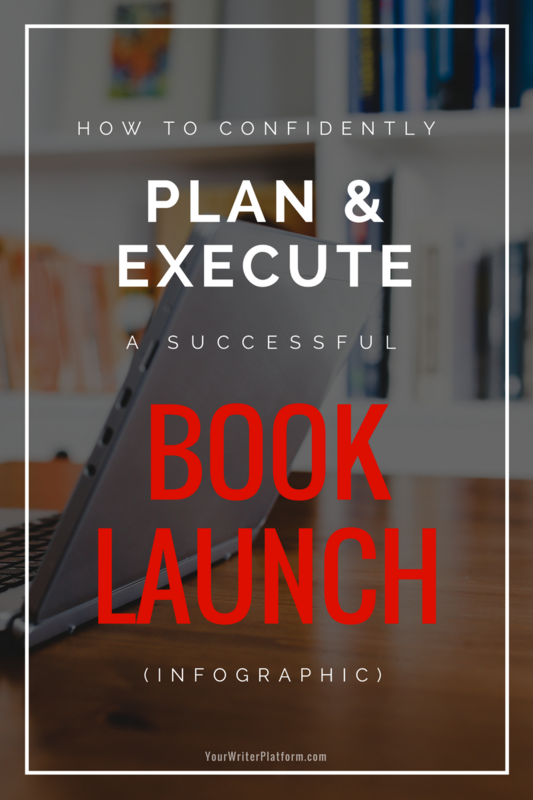 Instead of burning up Google with your panicky “How do I launch my book?” queries (and then trying to piece together a coherent launch strategy), let me help you create an actual plan. I’ve teamed up with Joel Friedlander (TheBookDesigner.com) to create the top-selling Book Launch Toolkit. To help you put strategy into action, we’ve developed a step-by-step process, showing you how to use the tools you already have access to, in the right way, that work consistently and predictably. Methods that work not only for established authors, but for new authors as well. The Standard Edition includes the 103 page guide book (with a platform building guide + 20 book launch tools and strategies complete with instructions, links and additional resources), 7 worksheets, 4 cheatsheets and an interactive, customizable launch plan. The Plus Edition includes everything in the Standard Edition, PLUS 5 additional guides and an expert interview video to ensure you have absolutely everything you need to launch your book with ease (and style). And if you’re looking for extra one-on-one guidance, the Strategy Edition includes everything in the Plus Edition, PLUS a 30 minute call with Joel Friedlander and a 30 minute call with me (or 60 minutes with just one of us) to review your launch plan and audience building strategy. Most authors will never discover that book launch success comes from doing just a few things the right way, in the right order. Questions about your upcoming book launch? Pop them in the comments below and I’ll do my best to answer them.